Welcome to the Family Church Dinner at the Parish! 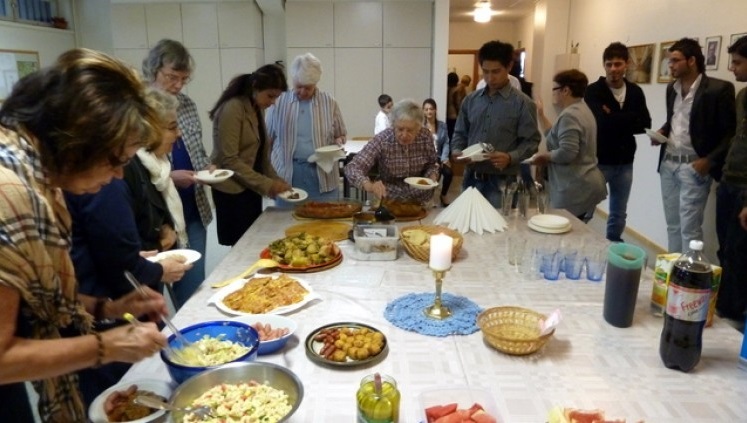 The potluck dinner is arranged on the last Saturday of each month and begins at 6 p.m. in the Parish Hall. Family and friends are welcome! Please bring something to the table: share a main dish, a side dish, a salad, adessert or a drink. at 6 p.m. on the last Saturday of the month! The first Church Dinner of the 2014 autumn season is likely to be on the last Saturday of August, i.e. August 30th. Confirmation of the date will be posted on this page by mid-August at the latest.